DSA4001 was successfully added to your cart! DSA4001 could not be added as a favorite. Please make sure you are logged in. 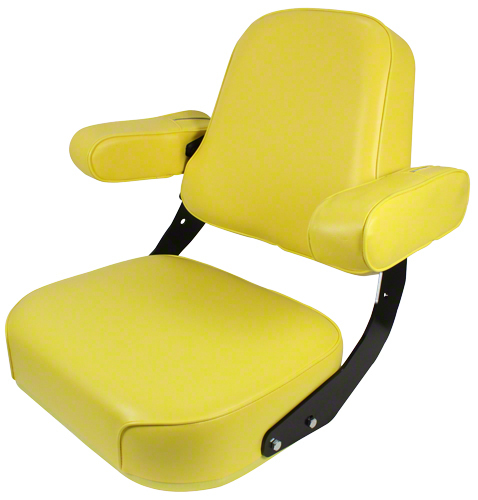 Deluxe seat assembly. Brown fabric material. Fits John Deere 10, 20 and 30 series tractors. Fits 3300, 4400, 6600 and 7700 combines. 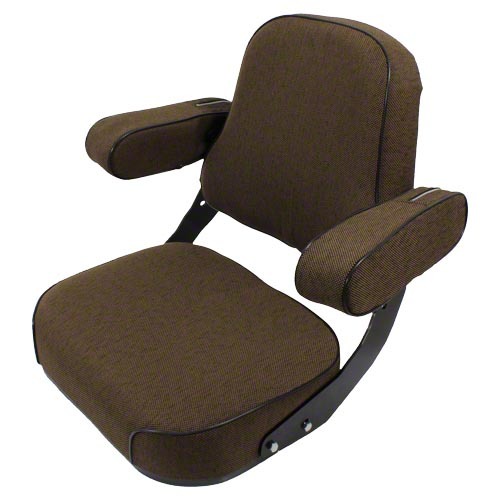 Arm rests lift up and out of the way for easy on and off. Deluxe seat assembly. Fits John Deere tractors 10, 20 and 30 series; and combines 3300, 4400, 6600 and 7700. Yellow vinyl material.